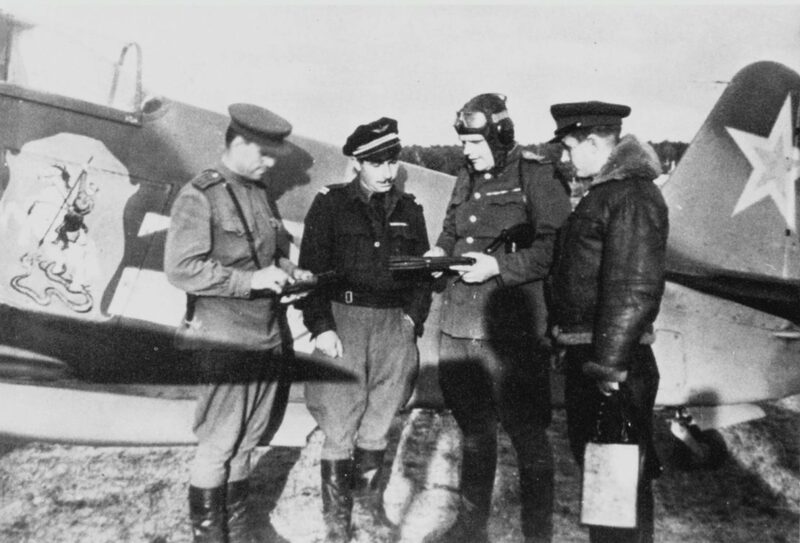 The commander of the 303rd fighter air division, Major General George Nefedovich Zakharov, Lieutenant Joseph Risso from the Normandie-Neman air regiment and Soviet officers at the Yak-3 fighter. The fighter in the photo with the image of “St. George the Victorious” on the fuselage is the Yak-3 with the engine VK-105PF2 – the personal plane of George Zakharov.